We’re all off to Holkham Country Fair. What a good start to the week at Media Managers! We have been appointed by North Norfolk’s much loved Holkham Country Fair to lead on all PR activity to promote the event and manage the press office facility during the popular weekend country show. The biennial event will be taking place on 22 & 23 July this year, and boy does it have some exciting things to shout out. Our lips are sealed for now about what’s new for 2017 but it’s definitely going to be an exciting summer for our Social Media and PR team. 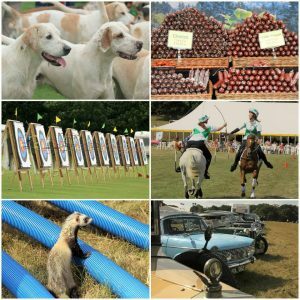 Set in the picturesque surrounding of Holkham Estate by kind permission of the Earl and Countess of Leicester, Holkham Country Fair celebrates all things ‘countryside’. The two-day event, suitable for visitors of all ages and the four-legged friend, offers a fun-packed two days of Grand Ring entertainment, Showground events to watch or get involved in and over 200 trade stands to satisfy the most comprehensive shoppers. An option to camp for the weekend is available so visitors can really make the most of their stay and absorb as much of the Country Fair as possible. For those interested in attending, there is a selection of early bird tickets currently available for camping and day admissions for you to take advantage of. Children 14 and under can attend for free. By Ellie Banahan| 2017-05-09T10:55:12+00:00	March 27th, 2017|Uncategorized|Comments Off on We’re all off to Holkham Country Fair.